Where can you find complete information about key events in our nation’s history? The Internet, of course! Reproducible worksheets with comprehension questions and graphic organizers guide students to gather information about Native Americans, early explorers, Pilgrims, the colonies, westward expansion, the Civil War, and even the race to space. A perfect way to boost students’ Internet research skills! For use with Grades 4-8. 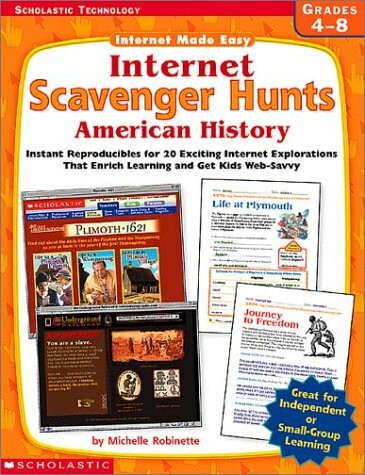 Michelle Robinette, an independent educational consultant, has written several Instant Internet Activities Folders for Scholastic Teaching Resources on topics such as the Boston Tea Party, Jamestown, Martin Luther King Jr., and Ellis Island. She lives with her family in Georgia.